The basics of ASL - moving, shooting, routing, rallying, close combat. This game alone opens leads you to a whole new world of tactical level gaming! 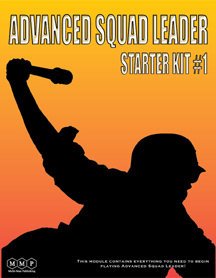 Find out why ASL is still THE WWII tactical wargame of choice after 25 years! The ASL Starter Kit #1 is a complete game. All the required components are included to play the scenarios included in the game.